Spotted at Walgreens, this plate and cup set is made out of melanine and is perfect for kids. 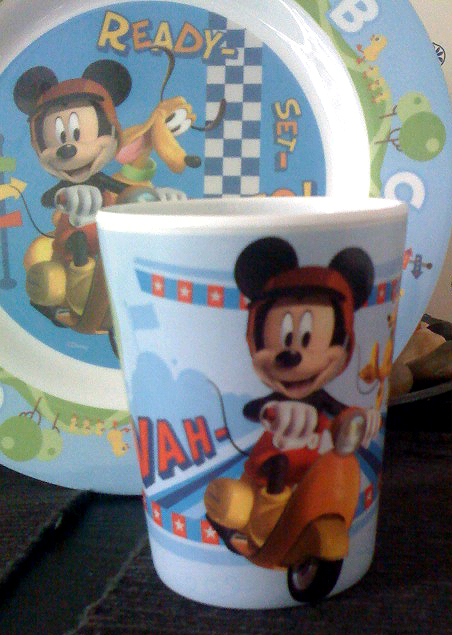 And of course Mickey fans. 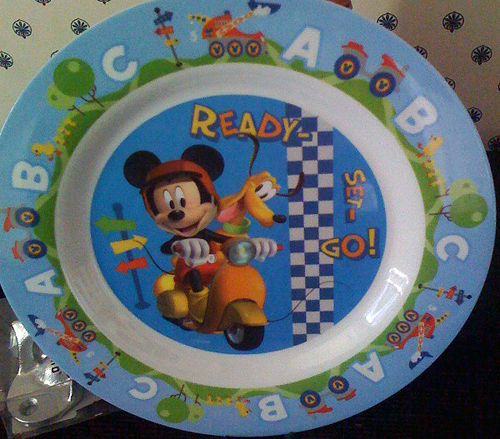 This entry was posted in Ceramics, Pottery and tagged melanine plates, mickey mouse, scooter, vespa by Tracy. Bookmark the permalink.